Millet consists of small round seeds with a nutty flavor and provides good amounts of iron, calcium, potassium, and the B vitamins. 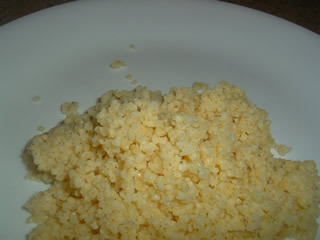 Typically cheaper than rice, millet is available at most health food stores. This recipe uses one cup of millet and two cups of water. It will serve 2-4 people. Get a cup of millet. 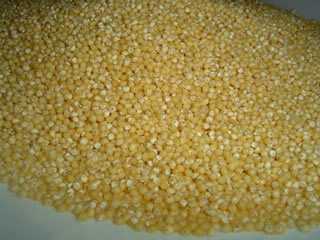 Place the millet in a pot and add two cups of water. 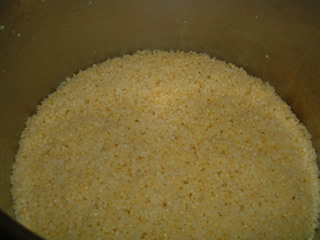 Set the millet to medium high heat and when it starts boiling turn the heat down to low and cover the pot. 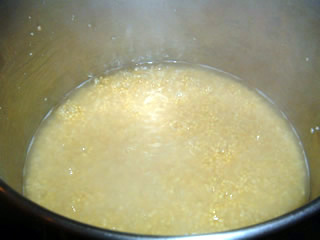 After 10-15 minutes all the water should be absorbed and the millet will be cooked. You now have cooked millet. It is great on its own, but also pairs well with almost any soup or stew.